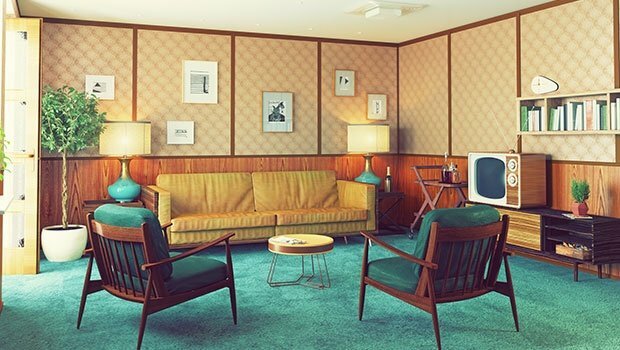 Here's a list of top places to find bargain buys that will make a retro statement in your home. The internet is great for research, but small shops without an online presence are easily overlooked. Here is a list of those small gems that are discovered by accident and word of mouth that might just have that signature piece to complete your dream look. This double story warehouse type shop has a big selection and great prices. Art Deco and ball-and-claw wardrobes, butterfly dressing tables and side tables are among their specialties. Grand Hotel is the first secondhand shop if you hit Long Rd. Mannequins, 1950s shop cabinets with drawers, old signs and other collectibles are what they are known for. The place to visit for smaller furniture pieces, retro lights and chandeliers as well as quirky collectibles and vases. If you are looking for Mid-century modern and retro furniture and collectibles, this specialised second-hand shop won’t disappoint. Check out their Insta page for more details. They stock interesting decor pieces along with some retro artwork. Bell Bottoms is legendary for its retro and vintage items ranging from clothes, furniture to bric-a-brac. This Free State shop has furniture from 1900-1970s as well as farm finds, building material, metal gates and porcelain. Although they specialise in antiques, they also have a good selection of second-hand furniture and reproductions. Furniture has been painted for that fresh country look. Every item has a story in this vintage shop, from crockery, garagenalia to kitchenalia. This 3 level shop dedicates two floors to furniture, collectibles, frames and art. Classical, retro and contemporary second-hand furniture can be found in this neat store. This treasure trove stocks antique and vintage furniture, lights, chandeliers, Art Deco and Art Nouveau metalware and smalls. This shed style shop sells old wooden doors with character, retro wire outdoor furniture and lots lots more. Tucked away in the Karoo, this charming Platteland secondhand shop stocks great secondhand and new furniture and trendy collectibles like old records.